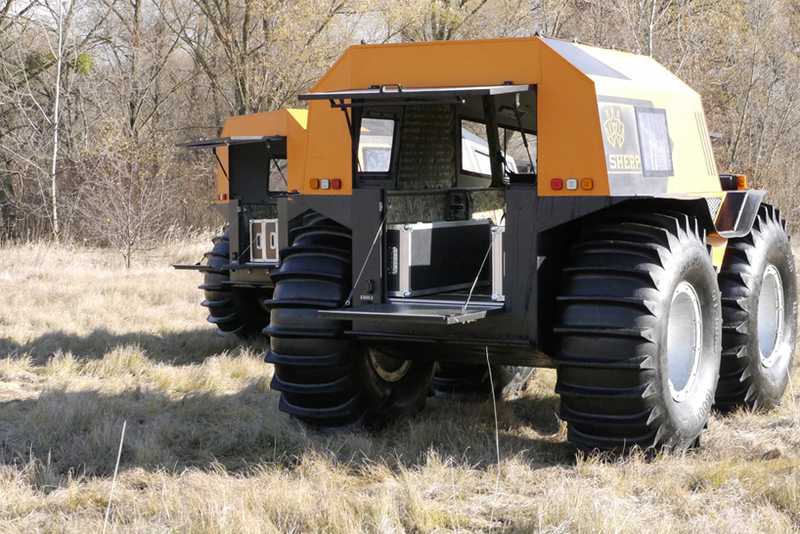 the ‘sherp ATV’ is an all-terrain ‘mini-monster truck’ that not only dominates off-road environments, it can also plow through water, ice, and snow. 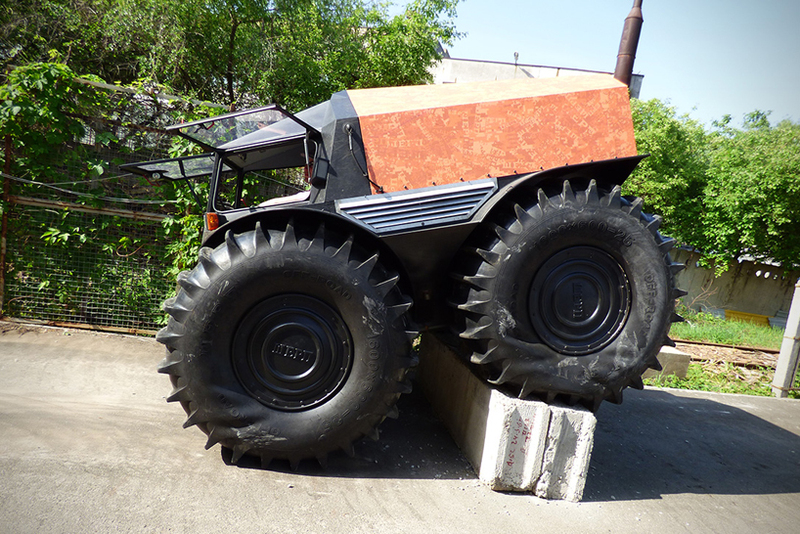 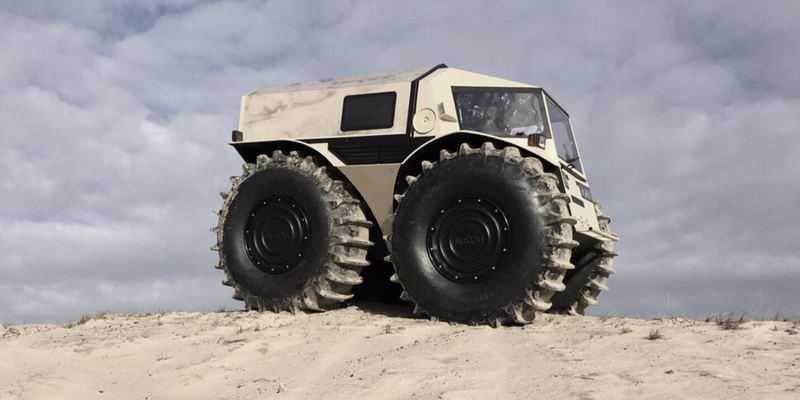 created by saint peterburg-based designer alexei garagashyan, this amphibious all-terrain vehicle features enormous, self-inflating tires with paddle-like treads, driving it over obstacles as tall as 27.5 inches. 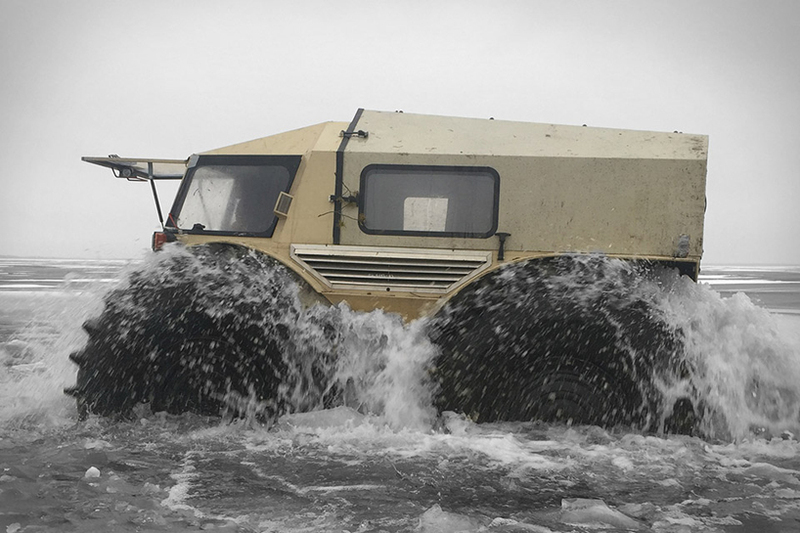 the ‘sherp ATV‘ redefines the meaning of ‘go-anywhere’ vehicle as it easily overcomes boulders, fallen trees and obstacles, while can it also float downstream like a watercraft, passing marshes and deep snow, before moving through ice. 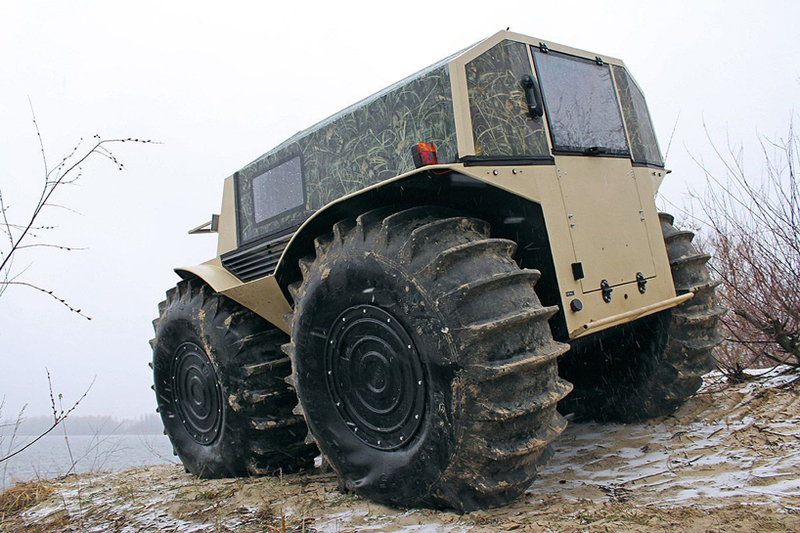 the ‘sherp’s’ design is focused around four colossal low-pressure tires, that move like tank treads as they lock up, or slow up, one side to turns. 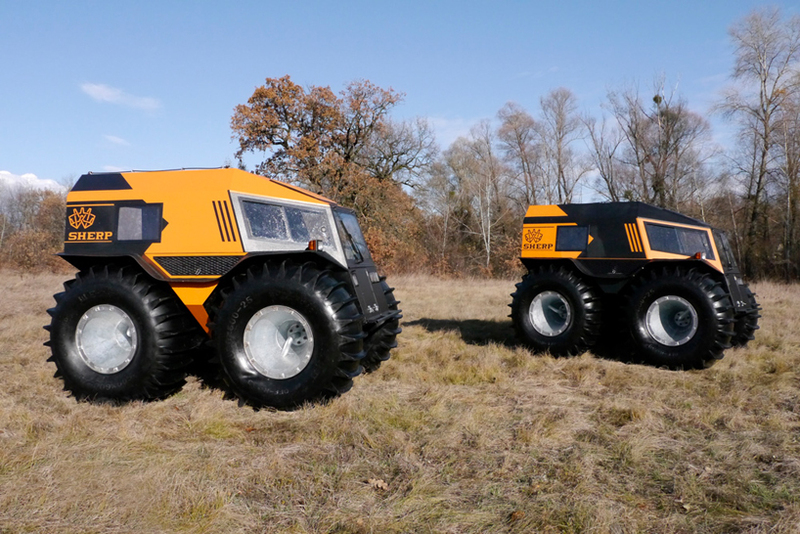 the two-person compartment is heated by the engine, the vehicle heater, or with a webasto autonomous heater. 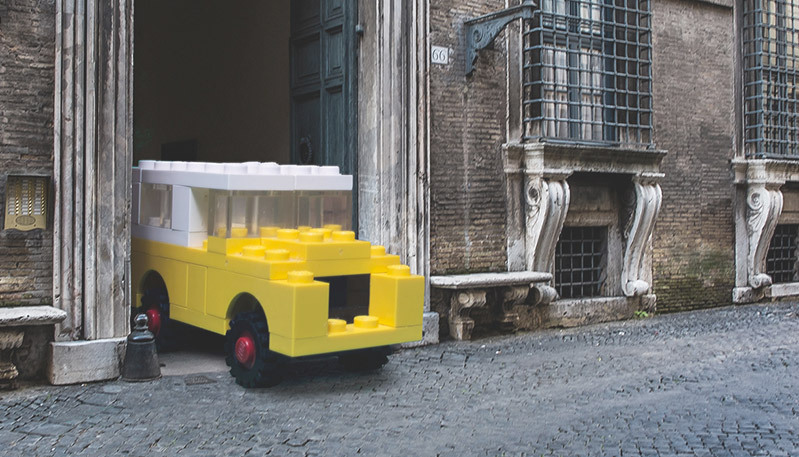 the driver uses levers to steer, accelerate, and slow the machine down, while it can ‘skid steer’ completely on the spot. 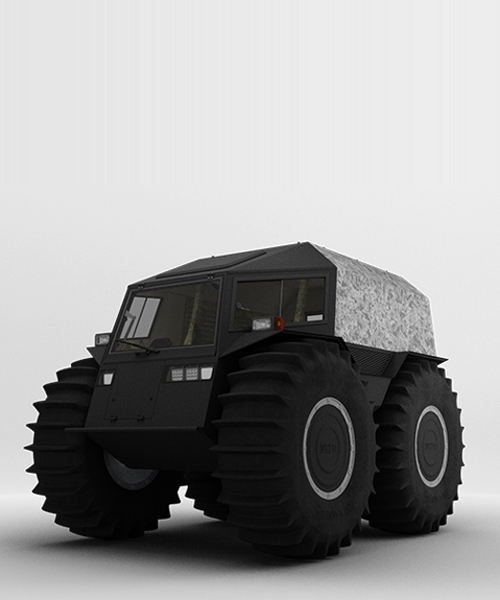 it offers plenty of room for equipment beneath the floor boards, with 170 liters of cargo space. 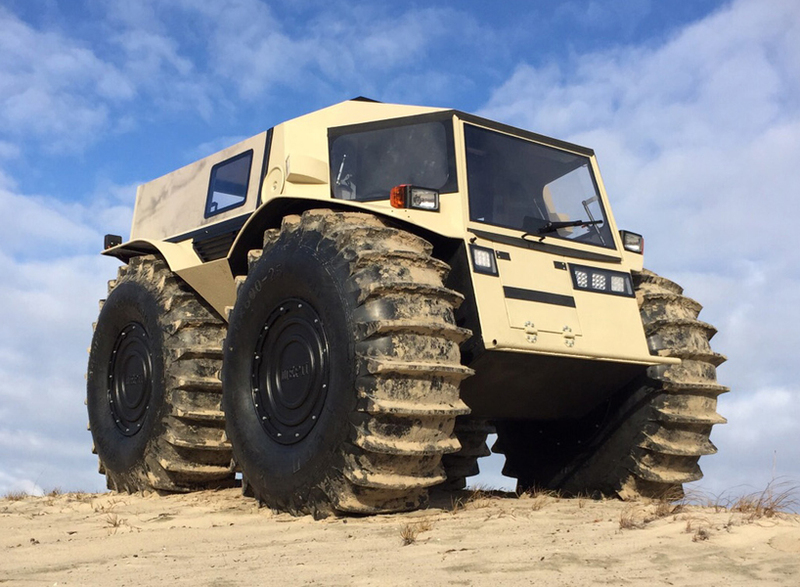 this unique vehicle is driven by an almost-indestructible kubotalow 44 horsepower diesel engine, that uses approximately 2 – 3 litres per hour on any type of soil; powering the 2,866 pound ATV to 44.9 km/h ( 27.9 mph) on land, and 5.9 km/h (3.7 mph) on water.